Xpress is the only company in the world focusing on probing systems for ultra precision metrology. Your importance to us doesn't depend on the situation in other markets: when you purchase a probe, you immediately belong to our group of most valued customers. Every aspect of our company (e.g. R&D, logistics, production and after sales support) is focused on your questions and your challenges. 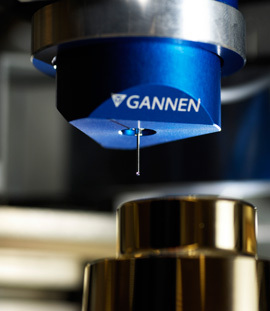 The Gannen XP is the most accurate 3D probe in the world. The stiffness at the probe tip is the same in each direction, as well as its sensitivity. This makes the Gannen XP the best choice when ultimate precision is required. With respect to the XP system the Gannen XM has a lower stiffness, lower replacement costs and lower probing forces. This makes the Gannen XM ideal for measuring micrometer sized features. The Heimen probe is designed for measuring micro components with sub-micrometer accuracy. Any operator can change the probe stylus in seconds. Risk of damaging the work piece is minimum, even at high approach speeds, due to the extreme low probing force making it perfectly suited for measuring micrometer sized features on any component. The economic choice for high precision 3D measurement tasks. The TriNano N100 nano CMM is specifically designed to suit the needs of high end research. The machine is able to reach uncertainties below 100nm, what is unique at its price level.